The American Friends of Statens Museum for Kunst presents a special concert performance by the New York Scandia Symphony. 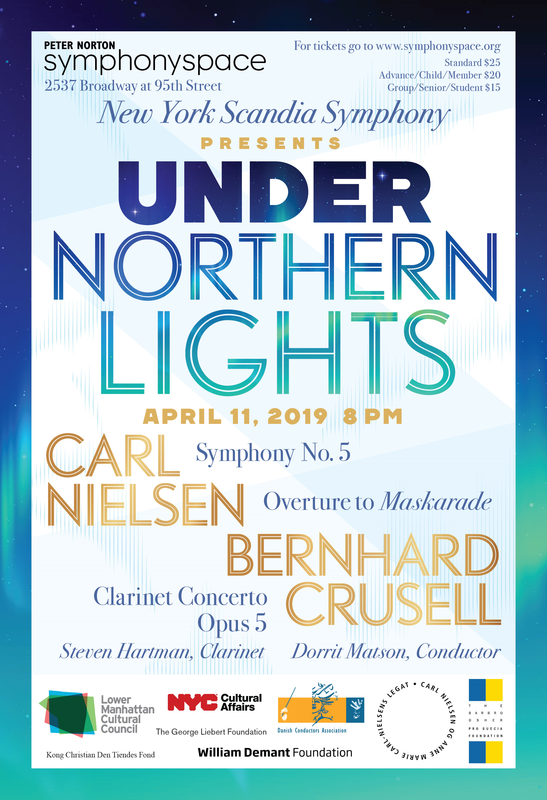 On April 11th, multi-Cultural Grant award winning Dorrit Matson, will conduct the symphony in a performance entitled Under Northern Lights. Members and friends of the American Scandinavian Society are generously offered highly discounted tickets for $15. Please join us for the wonderful evening of Scandinavian music and culture!